Wow, so I am thrilled to be able to do this blog post, even though it just took me hours to compose on a Word Document. 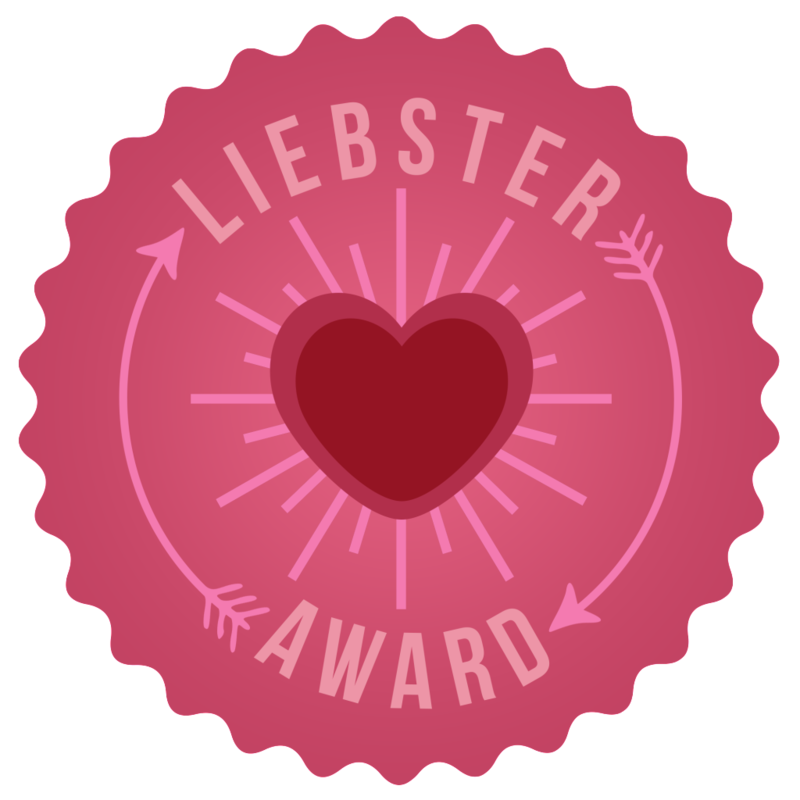 I got nominated for the Liebster Award 4 times from up and coming bloggers themselves! It is super exciting to think there are people who actually read this blog..and like reading it...hahaha...there's a difference! I was nominated by Catherine from ABC123is4me, Cheryl from Techie Turtle Teacher, Alisha from Missing Tooth Grins, and Reddishann from The Reddish Brown Crayon. So I am going to answer their questions separately, and then post the 11 weird random facts about me. Finally, I'll tell you who I nominate! Do you like me telling you the upcoming sequence of events? It's so teachery. #1- Do you work at a school? If so, tell me about your position there. I am a 7th year second grade teacher….my principal likes to joke and say I have my PHD in second grade. #2- Do you have a TPT store? If so, how long have you had one? Yes, it is under amna baig teach two reach. I opened it last summer but didn’t really start posting products and get involved till this past December break. #3- If you have a TpT store, tell me about your favorite product you have and why you believe in it so much. I think I like my telling time pack the post because it has a really cute craftivity and I’m not that great at artistic features, so I was really happy with the end result! #4- Do you have a Facebook page, a Pinterest account, Instagram? #5- What is your favorite thing about teaching? I love when kids move on to other grades and still tell me they loved 2nd grade the best! #6- What is your greatest challenge when it comes to teaching? #7- If you weren't a teacher, what would you be? Probably something in the medical profession….maybe a VET…love me some animals!! Dream job would be working with cubs and other baby animals in the wild…haha. #8- What are your hobbies? Realty T.V…is that a hobby? I love to read for fun but never get time anymore. My newest hobbies include TPT and blogging. #9- If you had one wish, what would it be? That there was a perfect balance and no sacrifice involved in being a working mother. #10- What are your short-term goals? Build up my TPT and Blog. Create enough products to get the ball rolling on the chachings…haha. Also, I want to do something with my Master’s Degree instead of just paying off the loan. #11- What are you long-term goals? Raise my kids into responsible and mature human beings who believe in their religion and who can also be successful in life. Figure out a way to work from home so I can have more babies…hahaha. 1. What grade do you teach and why do you love it? 2nd grade and I love it because they are old enough to be independently doing work and finish crafts/projects in a timely manner, but not old enough yet to really have an attitude. They basically love you no matter what. 2. When do you grade papers and plan your lessons? I try my best to do it during my free periods in school. But if something doesn't get done, I bring it all home Thursday to finish up before Friday Folders go out. 3. What is one piece of advice you would share with new teachers? Have a graded paper organizing system! I didn’t want to just hand back student papers as I graded them. They stay in the folder or get lost. So I send them all back in a Friday folder with my weekly newsletter on top. 4. Who are your favorite sellers on TpT? Amy Lemons and clip arts like Tongass Teacher, Magic Mistakes and Mayhem, Krista Wallden..etc. 5. What is your favorite subject to teach? I don’t really have a favorite. They are all equal to me. Just like in HS, I didn’t really like one subject better than the other. 6. What is your favorite dinner recipe? I make a lot of ethnic food, since my nationality is Pakistani. So I love making curries with rice. 7. How do you spend your weekends? My weekend doesn’t start until I get some coffee in me. Then my family can approach me. We spend the weekend doing house errands and cleaning, maybe going to a movie or the mall, or visiting my parents. Fall no doubt. I love the crisp air, the colors, the flavors..pumpkin everything for me please! 9. Share a technology resource that you love using in your classroom. I love using Class Dojo and watching Brain Pop Jr. Videos. 110. If you could have an unlimited supply of one school supply for your classroom, what would it be? 11. What is your typical bedtime on a school night? 11 P.M. A few minutes later than that and I go into zombie mode. Something weird happens really. Up till 11 I am so okay. I like to watch some T.V. before hitting the sack. But past that time, my body just collapses on me..like literally 5 minutes later, I can’t even move anymore. Again, don’t have one! I am weird like that. 3. If you've had a stressful day, what is your guilty pleasure? 4. What is your morning routine? Do you have something specific you do each morning to pump you up for the day? I slap my face with really cold water…dreading that first splash but then love it. Again, coffee is a must..otherwise please don’t approach me. 5. What is your classroom theme (if you have one)? If you don't have one, what would you dream of your classroom theme? I don’t have one but I tried to keep my bulletin boards pink, teal, and green. Years ago I had a space theme, bought a huge awesome space rug, and then during a school building change move…they lost it.....WHAT! Where did a 10 by 8 rug go??? It has to be connecting with so many teachers and having so many online friends. I feel like I am in H.S. again and have random AOL chat room friends..lol…but better than that. 7. Who/What inspired you to be a teacher? I don’t know if it was a specific person or moment, but I can just remember wanting to be one since I was 5. I used to make my younger sisters students, I would love if teachers gave me their unused photocopies, I stole chalk once or twice…oh and sticky tack…yea…loved it from forever. 8. What are your must-haves in your classroom? I need lots of storage baskets and paper trays. 9.What is your favorite book that you've read recently? I need some suggestions over here. Recently…nothing. But favs include Memoirs of a Geisha, The Kite Runner and a Thousand Splendid Suns, and Dan Brown stuff. 9. What's your favorite show on Netflix? Dexter is almost over. Again, I need suggestions over here for my next obsession. Before I caught up on Walking Dead, it was Walking Dead. Also, I loved Breaking Bad. But now I also need more suggestions and I might go ahead with Dexter. 10. What do you plan to do this summer? Probably tutor, go visit in-laws in Canada, and TPT! 1. If you could nominate anyone for best actor, supporting actor, and film for an Academy Award who would they be and why? I think Sandra Bullock is awesome in all her acting styles. 2. What was your least favorite subject in school? Why? I didn’t have a least favorite subject…but my least favorite topic was Physics for science. That’s the only subject I got a B+ in in the final exam…ack! 3. Give 3 words your students would describe you as. This is hard! They would use boring adjectives such as nice, fun, and smart. 4. What fairytale character do you best relate yourself to? Hmmmm…I love the determined attitude of Mulan. 5. What 5 things do you always have in your kitchen pantry or refrigerator? Garlic/Ginger paste, sugary juice for my diabetic husband who needs emergency drinks if he gets low sugar, some sort of cookies or chips, sandwich spreads such as Nutella and Peanut Butter, and eggs. 6. Who is your most memorable friend from the grade you currently teach? It was a girl named Rintu. She was a neighbor of mine when we lived in apartments in Brooklyn, NY. We used to walk to school together with either of our parents. It was fun. 7. Tell the funniest kid quote/story you've got in your teaching career to date. 8. What is your favorite outfit of choice to hang out in on the weekends? My pajamas! It’s 1 p.m. and I’m still in them. 9. What is your most memorable birthday? I can’t remember any! Is that bad? 10. What is something about yourself you wanted to change when you were younger but are proud to have now? My super thick hair that was so hard to manage and make every day, but now as I get older and see it thinning, I wish I could get it back. 11) If you could go on any adventure from a book you've read, which one would it be and why? Maybe Micky Mouse’s Clubhouse from the stories I read to my baby..haha! Can you tell I couldn’t think of any other answer? And now....11 random facts about me! 1) I love love love love corny jokes. Tell me one! 2) I used to eat cheese slices through the plastic wrapper when I was younger…uhh…I liked squeezing the cheese through a small opening in the side of the wrapper. Maybe that’s why I love Cheese It Spray so much now. 4) My D.V.R. is filled with reality T.V. shows and Dr. Phil episodes. I just need me some mind numbing T.V. at the end of a long day. 5) I work in the same school my two older children go to. I’ve been with them since they were in KG. They used to love it and I guess they maybe still do, but you know, it probably can be embarrassing for middle schoolers when their mom just comes and randomly hugs them when she sees them. 6) I had my first baby at age 20 and then at 21…and now had my third at 31. Boy, do things change in that amount of time. I don’t even remember how I raised my other two when I was still a baby myself. I like to think of it like this; when my oldest will graduate H.S. I’ll only be 38. Yay! 7) I think I’m a teenybopper. My first go to radio station is Radio Disney. 8) I am really dedicated to school and work …I couldn’t accept anything under an A all the way through my Master’s Degree. 9) I love to try out different flavors of everything. I never like to get the same tasting stuff twice…ice-cream, juice, chips, food at restaurants…anything. The weirder the flavor, the more I need to buy it. 10) I think I would have made a really good doctor. 11) I’m Muslim, have worn the headscarf since I was in 9th grade….and because of all the negative hype there is about Islam and Muslims out there from the media…I would love if this blogging journey, Instagram…etc.…could introduce others to people of my religious background, if they don’t know any in real life, and get to know the real facts behind this religion that I am proud of. 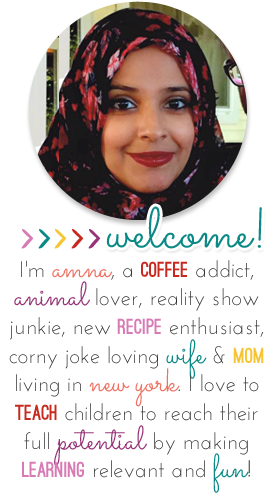 Plus, I just custom ordered a mini clip art version of myself from Teaching in the Tongass, and I can’t wait to display my headscarf wearing self…hahaha ;) That’ll be something different huh!? Now let's get to bloggers who I think also deserve the award and want to nominate!! 1) Noelle from Giggles at Greene Such a cute name! She has great organizational ideas on her blog. 2) Missy from Dirt Road Teacher. She is one of the first Instagram teachers I connected with and I think her blog and design is very unique and different. 3) Julie from Second Grade Surprises. Her blog design is super cute. The colors just draw me in! She has super ideas for teaching as well. 4) Amy from Learning Lessons with Mrs. Labrasciano. Again, blog designs that draw me in are what keep me there. Hers is no exception. She has great products and I love keeping up with her on Instagram. 5) Britney from Tailor Made Teaching. I love the classy design style of her blog. I also like the examples of classroom activities she has. 11 questions for you guys!! 1) What's your favorite T.V. show? 2) What kind of student were you in school? 4) When you started your teaching journey, did you get the grade placement you wanted? 5) What is your usual weekend like? 6) What chores do you leave until you absolutely HAVE to do them? 7) Do you see doing anything more with your education degree in a few years? 8) What is your favorite fruit, vegetable, and junk food item? 9) If you could live anywhere in the world besides the country you live in now, where would it be and why? 10) What’s your favorite animal? 11) What’s your biggest strength as a teacher? What would you like to work on? Alright, back to real life responsibilities now! Thanks for the nomination! Your blog is super cute! Thanks again, I always try to keep organized! Loved reading this, Amna! Always fun to get to know my blog friends more! And, watch Dexter! Seriously, you won't be disappointed! lol Alisha...I don't know if I can COMMIT to such a long term relationship. Maybe it'll be a summer show!